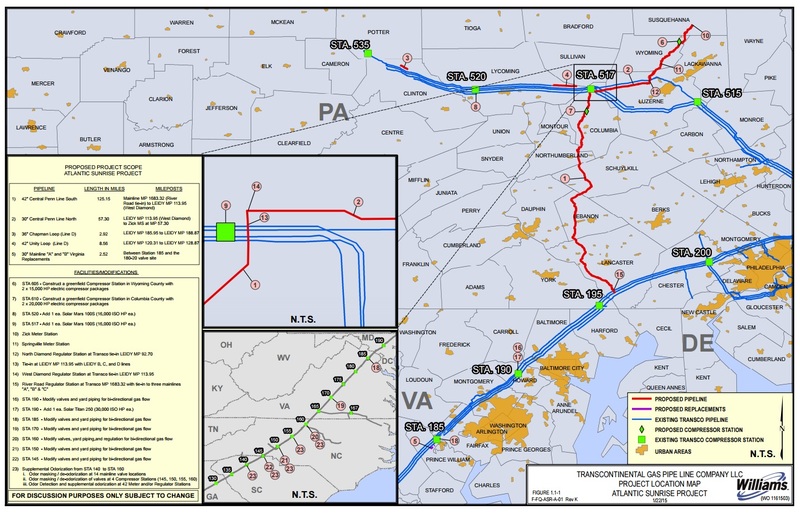 In this 2015 map produced by Williams, the red line shows the route of the proposed Atlantic Sunrise pipeline. A major new natural gas transmission pipeline will come online this weekend. Oklahoma-based Williams Partners said it has received approval from federal regulators to put its Atlantic Sunrise pipeline into full service on Oct. 6. The new pipeline passes through 10 central Pennsylvania counties (Columbia, Lancaster, Lebanon, Luzerne, Northumberland, Schuylkill, Susquehanna, Wyoming, Clinton and Lycoming) carrying natural gas to markets along the eastern seaboard, including the Cove Point liquefied natural gas export terminal on the Chesapeake Bay. 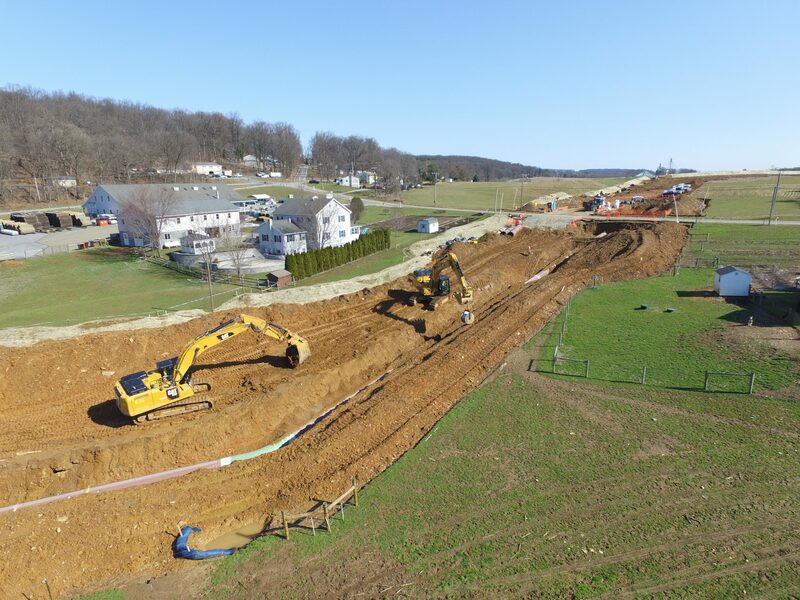 The pipeline is one of one of many large-scale pipeline projects in the works in Pennsylvania spurred by the rapid growth in Marcellus Shale gas production. The line is an expansion of the Transco system, operated by Williams, which includes over 10,000 miles of existing pipeline. The project has faced years of resistance from anti-pipeline activists, particularly in Lancaster County.